An ancient horror of fell times stalks the moors and fields of Ancient and Accursed Terra. A foul thing of old that hunts down those who tarry with the forces of magic and darkness. Yet this beast is evil and a hate from old times. Beware the cry of the Calopus pack a deep rustling throaty rasping sound that echoes the doom of sorcerers and magicians across the land! Here's a classic from the great pulp era of science fiction. 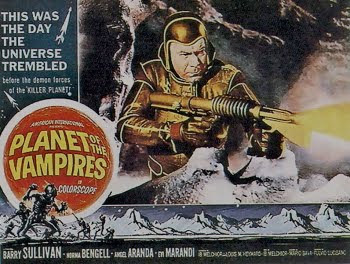 A time when Ming The Merciless and many others threatened the universe and Edgar Rice Burroughs was king. Here is the roots of the science fiction magazine that would later become Analog. Using this issue for your OSR gaming. The Creatures Of The Light and the Beetle Horde make excellent short mid campaign science fiction encounters and adventures. The Thief of Time is a great little time travel yarn that could be used as a jump off point for a campaign. 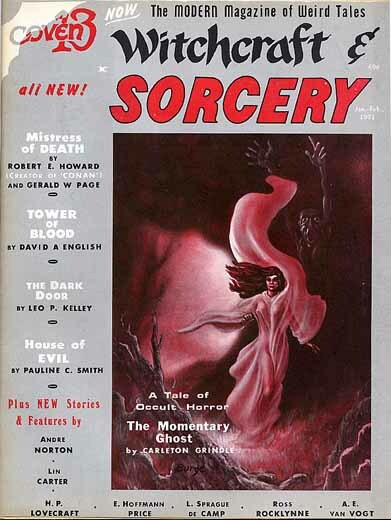 Every DM could use another resource from which to draw from here's a Public Domain British pulp magazine from the 1970's in the Sword and Sorcery tradition. This is a fantastic collection of pulp style magazine covers and information collected in a coffee table sized book and available for download from the Internet Archive. These covers are a great look into another time and place in science fiction history and can provide hours of inspiration for any old school DM. Introduction by Lester Del Rey on the history of science fiction. 40 posters suitable for framing. cover art from such magazines as Amazing Stories, Science Wonder Stories, Air Wonder Stories, Wonder Stories Quarterly, Astounding Stories and Startling Stories. I've had the book for some thirty years and thumb through it every now and again. I stumbled upon it whilst doing some research into some old pulp titles and thought I'd share it. 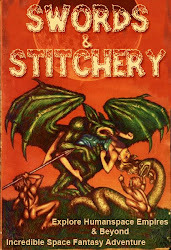 The illustrations are great retro pieces hearkening back to the pulp eras. Since its a free download I don't have any idea how long it will be available. 1975 Ballantine Books was a powerhouse and put out a vast array of science fiction titles and so ventured into other areas. Many of the pieces are in the public domain and this looks like it was a pretty good overview of the pulp era titles of the so called Golden Age. I hope you enjoy this download and look into another time and it inspires your science fiction retroclone gaming! These are a series of strange war ships created by a forgotten alien entity long ago during the time of the Stroke. These bio nanite ships maintain themselves floating between universes and prey on many interstellar vessels stripping them for parts, gear, and poly ceramic armor. These saucer shaped craft use a combination of proto matter and nanite controlled energies to shape probes, energy weapons, and other deadly ship to ship weaponry. These things are controlled by highly dangerous and cunning A.I. who absorb and sort through millions of streams of data and transmissions. These things form temporary alien minds depending upon the local interstellar communities and trade routes from which they prey. The usual tactic is to located a target ship and follow then when the vessel is weakest strike with pin point accuracy and focal lasers slicing up the ship and finishing it off with a plasma beam. 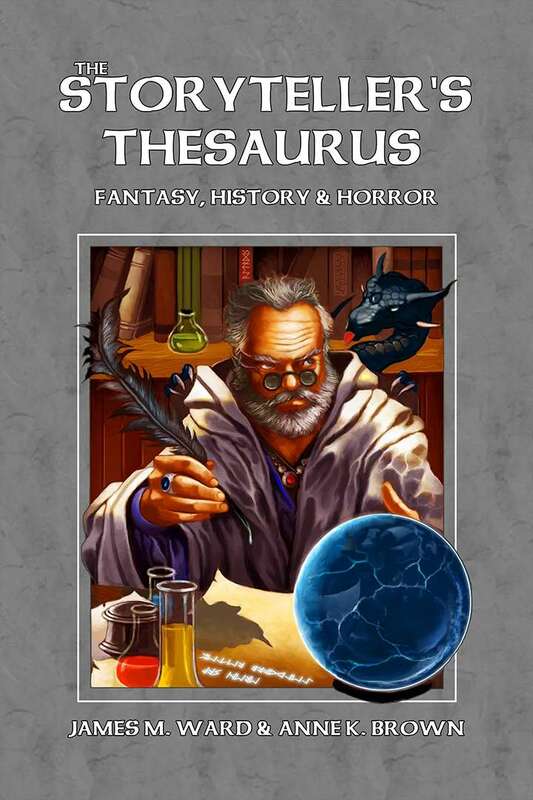 This book is a thesaurus by James Ward And Anne K. Brown aimed at the creation of adventures, locations, items, etc. for any role playing game. This book is built to be supplement & system agnostic. The idea is to match words, thoughts, and ideas with other key elements for the creation of story lines and adventures. Right now this product on sale and not quite as pricey as its been in the past. The book is well laid out and has some interesting ideas on game design as well. The content is bit on the thin side but its ideas are solid. Many of the ideas here are worth incorporating into adventure creation or campaigning. The ideas here are very well thought out and solid. The words, phrases, thoughts here are interesting and inspiring. But the product needs a bit more meat for the bone. The body of the work and system is enough for the entry price and I think if you need to get an adventure going quick and fast this might be up your alley. All in all its a good system agnostic product and one that makes a great little addition to the DM's toolbox. Mr. Ward does a nice job with material I simply wish there had been some additions to it. Such as even more more detail on the phrases and ideas and incorporating them into a story structure or adventure frame work. I loved the The Storyteller's Thesaurus but my only complaint is that I wanted more of it. This is great product if your having issues with ideas and need a great injection of inspiration. Dragon Stone clocks in at sixty nine pages of OSR goodness for AD&D and the various retroclones. This is a free resource and perfect to set those various adventures in without rocking the boat in your own campaigns. 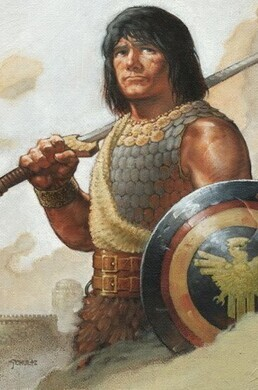 There a metric ton of NPC's and ideas here from Dragon's foot various free old school pdfs and the whole has a very distinctive flavor to it. Businesses, organizations, guilds, and a ton of material for the Dragon stone setting is detailed here. 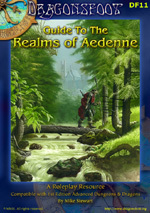 Guide To The Realms of Aedenne. Instead we get a fully fleshed out campaign setting in one shot with lots of open areas for your own adventures to be inserted. The idea here is a details on personalities, place, people, and events with room for the DM to detail their own spin on Dragonstone. Note that the setting has some very nice maps from 2002 but really the folks over at Dragon's foot could do with a Map pack for this setting. I'm not complaining because this is a free product and up to the standards of Dragon's foot. Weirdly enough this campaign setting came out in 2002 but has a very 'Game of Thrones' vibe going on. The wintry basis of the setting could be used to hide or create a very 'horror under the ice' vibe. Artifacts, relics, and horrors from beyond are perfect to turn this into a science fictional or science fantasy setting. There certainly enough hooks in the setting to get this into a cross over mode style of the campaign. Dragon's Stone has the feel of a place where adventurers can hang their hat and then get bogged down into the local affairs, politic, and horrors lurking around the corner. This campaign could be used with over ninety percent of the retroclone product currently on the market with some heavy modification. Many of the npc classes are detailed in the Manual of Professions also available on Dragon's foot. Some of those don't actually work for PC's but do for NPCs (very similar to the ones from Dragon magazine back in the eighties). For a crossover game such as Stars Without Number or Xplorers this setting is going to cast the PC's into the deep end of the pool with very detailed NPC descriptions, interactions, and agendas. I'd exercise caution when using some of these NPC's as they can be quite high level and very dangerous. 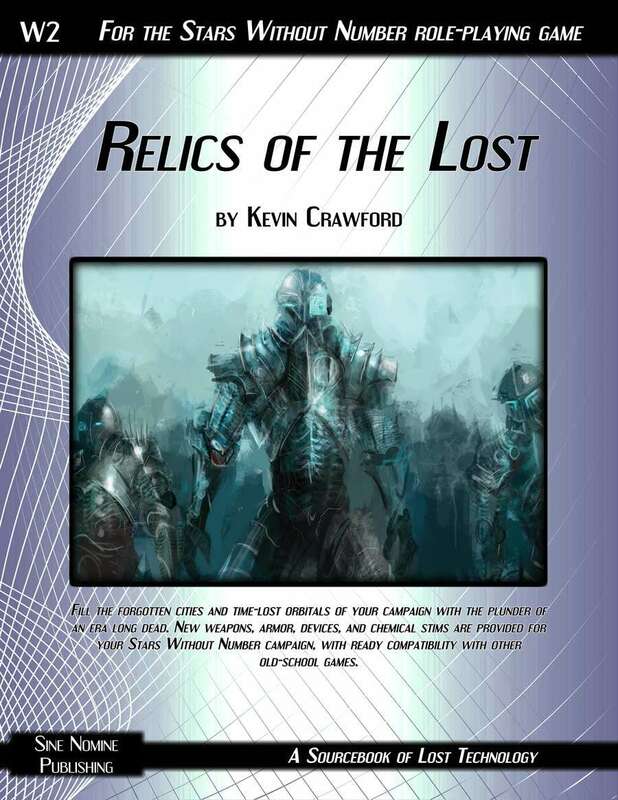 Relics Of The Lost is perfect for this style of campaign. The technology is dangerous and just shy of 'Clark's law'. I digress though a campaign set in Dragon's Stone is going to be a very strong and sorted affair. All in all Dragon's Stone is a greatly detailed, under appreciated and hardly talked about affair with some great advantages to it. As a free piece its one that deserves more time in the spotlight. 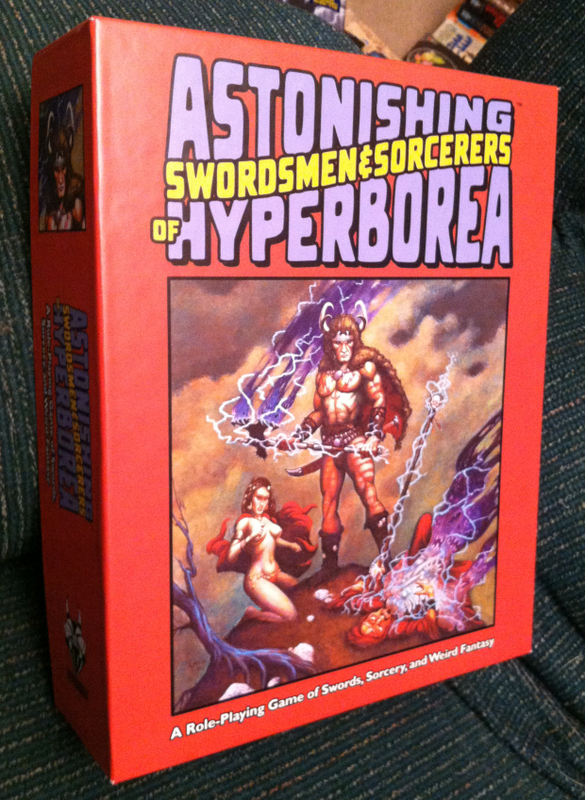 This is a campaign world designed in the vein of the classic first edition AD&D game but easily adaptable to any OD&D world or retroclone currently on the market. 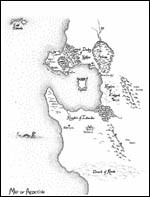 The world is described by the Dragon foot site as : A new gaming world designed for First Edition Advanced Dungeons & Dragons, but of course easily adapted for use in all roleplay games. Although fully developed for use with any campaign. This world has many blank spots easily filled with your favorite trope, monster, legend, or adventure to fit right in to your fantasy or science fantasy campaign. This world could also double as a cross over world for a science fiction retroclone such as Xplorers or Stars Without Number as a lost colony or reconnect colony world. There are lots of blank slate areas but just enough fill in to make things really interesting. HERE This is a great resource to grab and use for your own campaigns. However the map pack for Aedenne is a must and fully functional in its own right. The maps are crisp, cool, and easily adaptable to any old school game. The whole place could easily support an isolated star port or holo blind Imperial study base to link this up with a great science fantasy or science fictional blend. Many of the standard AD&D first edition modules can be plugged in and played in this world with little to no adaptation but many of the campaign modules will have to be shoe horned in. The bits that are there are richly detailed and sorted out with some tropes of AD&D but there is a bit of the old Dragon foot spin that we see in Foot prints magazine. The whole setting is wide open and should be talked about more on the various blogs and forums but lately nary a mention have I seen anywhere. That's to bad because this is a great free product and one easily adapted to many of the retroclone games on the market. I'll be covering Dragon stone in a future entry coming up. There are places of ancient and decadent wisdom waiting your PC's! 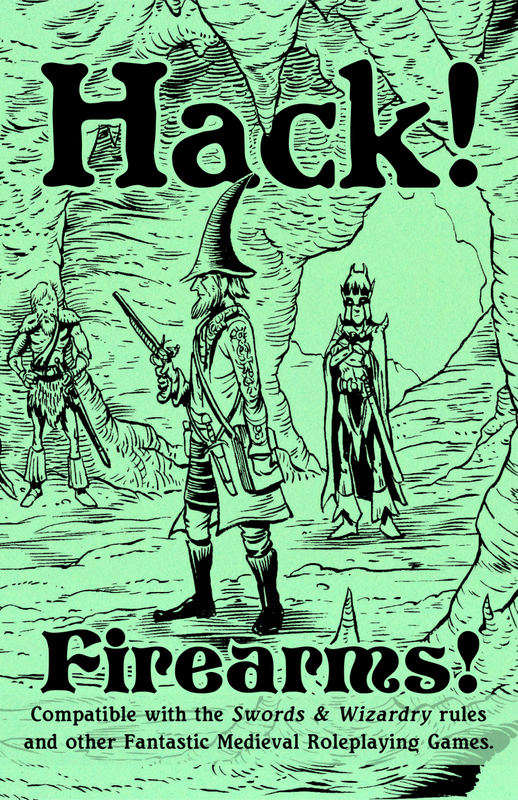 Fire Arms in a D&D retroclone are a tricky proposition for some folks. There are literally a dozen rule sets tucked into a variety of retroclones currently on the market. A friend turned me on to this set from STRAYCOUCHES PRESS. Apparently these are the same folks who are into Dungeon Crawl Classics(I'm not into that game). This is a twenty four page pdf with the usual D&D tropes in the background. Hack! Firearms! is a supplement compatible with the Swords & Wizardry rules. It features simple firearms rules, an adventure tool-kit for introducing firearms to your campaign and whole bunch more! Basic and optional rules for Firearms. Different eras of firearms and their stats. An adventure tool-kit for adding guns to your campaign. A bunch of bonus items. This is a solid pdf and really well put together for doing long guns, dungeon conditions for firearms, firearms in campaigns, and lots of strangeness with fire arms. Here the technology of black powder is exploited to its fullest and given its due. This is the sort of strangeness we get with introducing black powder and guns into a fantasy setting. These rules will work very well with a setting like science fantasy or primitive science fiction settings. I'm thinking about a 'Planet of The Apes' or alternative world. The rules would be excellent for a game like Carcosa where the setting and rules might give the PC's a bit of an edge on survival. For a game like Labyrinth Lord these rules might be a welcome addition. While the post apocalyptic goodness of Mutant Future might actually welcome something like these rules. The bonus items and different eras of firearms can be used to induce many pre-mutations of relics and artifacts for many of the usual dungeon or wasteland tropes. There many other uses for the items here as one shot use items in campaigns. All in all these rules are solid and interesting. While their not going to revolutionize the retroclone market, the Hack Firearms rules are very well recommended. Grab it right over at the section marked Adventures on the left hand side. This is a free one page adventure that you can drop a party of unsuspecting PC's right into. The encounters are fun. 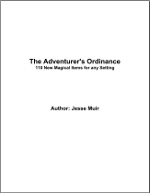 The one page adventure is perfect for a science fantasy campaign or as a kick off of a campaign. The encounters are well balanced to the setting and work very well for a night's entertainment. The fact is that most players are going to have to work at it though. These encounters are keyed for working with about 90% of the retroclones on the market with some adjustment. 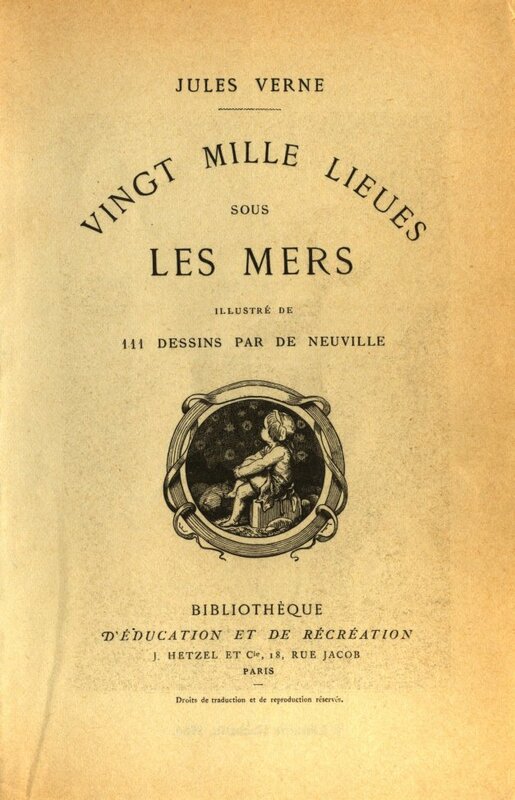 The author's weirdness shines through with this one. There are some real solid finds and relics in this one but nothing that will unbalance a campaign. I've used this adventure location a few times as stopping point for party before setting them onto Carcosa and points of interstellar mayhem. Many of the locations remind me of the old Herculoids cartoon. This adventure is perfect for exploration point as a lone planetoid hanging in the far off depths of space. If you haven't checked out Metal Earth do yourself a favor and go to check out the various free bits of science fantasy old school goodness. Take one part Andromeda Strain, two part The Thing By John Carpenter, and weird alien invasion virus from space then you might have Sci Fi new show ~ Helix coming in January. According to the SyFy Channel press release, "Helix is an intense thriller about a team of scientists from the Centers for Disease Control who travel to a high-tech research facility in the Arctic, Arctic Biosystems, to investigate a possible disease outbreak, only to find themselves pulled into a terrifying life-and-death struggle that may hold the key to mankind’s salvation or total annihilation. However, the lethal threat is just the tip of the iceberg, and as the virus evolves, the chilling truth begins to unravel." Helix looks like it travels along the same tight end bio terror and science fiction that Andromeda Strain trod so many years ago. I don't think this will be an up date so much as a new thing. Reading up on Helix I definitely got a bit of a Lovecraftian or John Carpenter vibe. I can honestly say that this look intriguing and weird but I can't say if it will be a classic or another Sci Fi flash in the pain. The Idea of the "Invaders from Outside" is both a familiar one and a terrifying one at the same time. The themes of isolation and terror within the Artic hearkens back to themes we saw and used very effectively in John Carpenter's the Thing. Helix could go that extra mile and offer the pandemic as well. There's elements of a mega corporation as well in the form of the high-tech research facility in the Arctic, Arctic Biosystems. They sound very shadowy and slightly cyberpunky. Could they have stumbled upon the weird remains of some Lovecraftian entity or some possible relic of the Elder Things? Body horror and science fiction gaming have always been unsteady bed mates at the best of times. I've played in games that used this to great effect from Call of Cthulhu to D&D. Disease often makes things tricky and weird during play. Kult,even Torg pulled the balance well if A. The DM has the right mix of players and is willing to play to the audience. There are two seminal works of this genre. At The Mountains of Madness and Who Goes There which both touch the isolation and terror that one finds in HP Lovecraft and John W. Campbell, Jr classic. Small note many consider Who Goes There to be an uncounted Doc Savage Novel according to wiki : "It has been suggested by fans of pulp hero Doc Savage that Savage and the character of McReady are actually one and the same. The text describes McReady as a "bronze giant of a man"; Savage is popularly known as "The Man of Bronze". If so, this would make Who Goes There a "forgotten" Doc Savage adventure (see the Wold Newton family)." 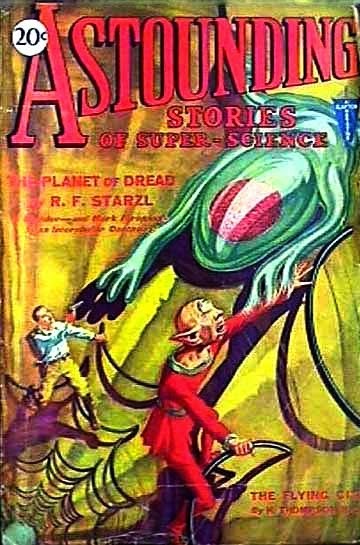 Review of the Astounding Stories edition with front cover and illustrations. Retrieved on 2010-03-08. 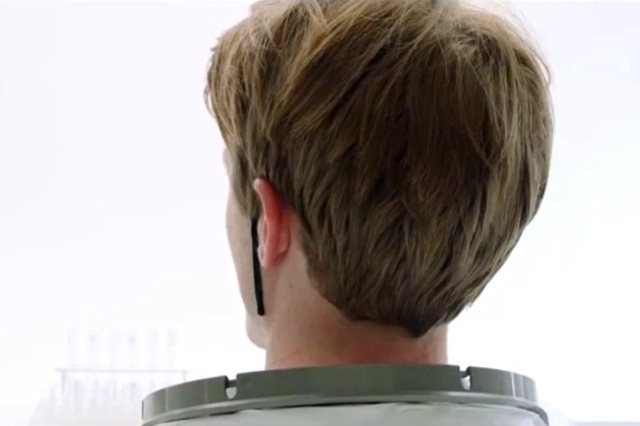 Helix treads on the familiar tropes of the unknown and the mutation of the human body. Many of the elements and ideas of Helix might fit Call of Cthulhu best but there are plenty of old school games that would suit this style of game to a tee. But for now I'm looking forward to seeing Helix when it comes out in January. 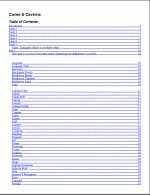 Here are over 110 magic items in twenty six pages for any old school style game. A great free resources for details magic items with a great bit of background to add to your campaign. Many of these items have backgrounds that can be adapted for a science fantasy or science fiction campaign. 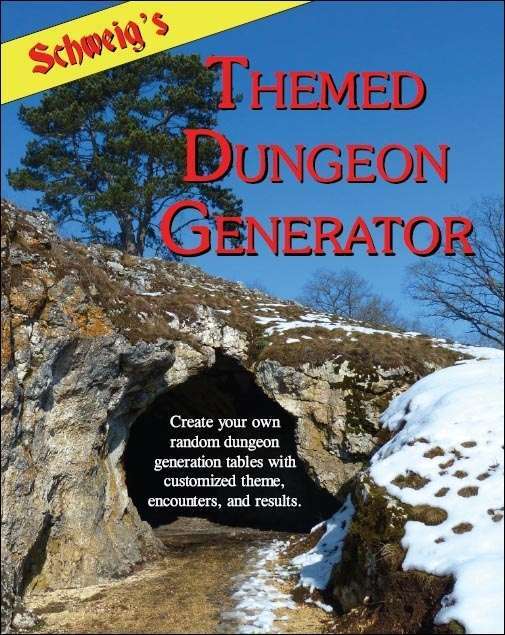 This is a great twenty six page addition to stocking your old school dungeon with items that are not going to derail your adventure campaign. The author covers most of the major areas including equipment and magic items, along with some background to incorporate these items into your games. Best of all this twenty four page pdf is free. I ran across this fantastic Caves and Caverns Generator for any old school game. This is an excellent resource for any old school game. Its a real shame that more DM's don't use more of the resources on Dragon's foot. Dirk Collins does a great job with this little piece of OSR artwork. Grab it and use it foil PC's and NPC's alike! This is a great generator for those last minute adventures when your friends, pizza, and what not are due in fifteen minutes. Couple this with a resource like the first edition Dungeon Master's Guide and you've got a game night! The PC's in tonight's game have run into a very large and dangerous war ship of unknown origin and design. The wreck's A.I. controlled and in a coma. She's heavily armed and very dangerous looking. The party has decided to go in with probes and take a look at her. Several operating systems are semi conscious but on minimal power. Since their last run in with the Bruxelles-class battlecruiser HERE. They've been much more cautious before sending over adventurers to check these wrecks that their finding. This one has a strange Spike signature about here and doesn't seem entirely within the local space time continuum. Then there are are the fading life signs aboard and power spikes aboard every seventy two hours. She's a hell of a haul for salvage if they can get her back to a star base and if they make it out alive! Not every synthetic mind is bent on mankind's destruction. Some have a higher purpose, a nobler war to wage in the darkness between stars. 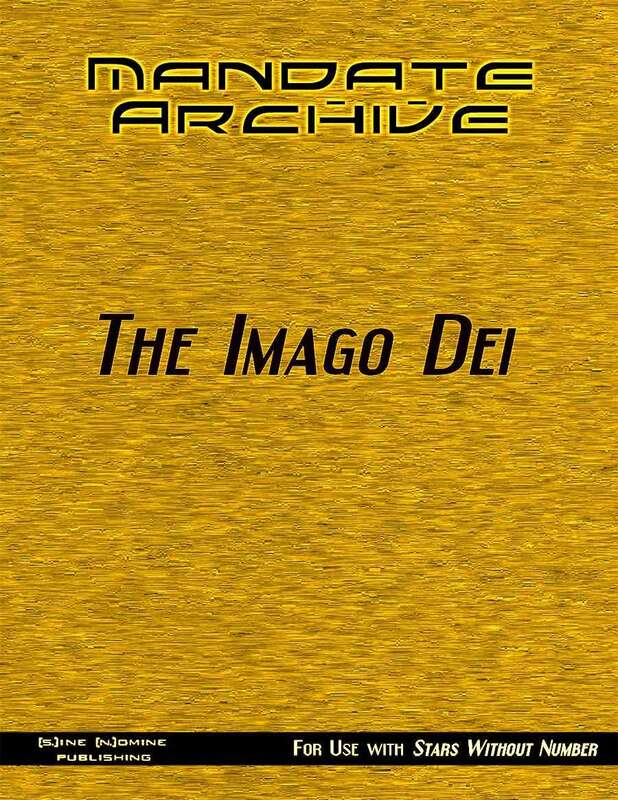 Open this free supplement for the equally free Stars Without Number RPG to learn the truth about the enigmatic Imago Dei and their unending crusade to defend worlds ignorant of their very existence. As humanity is the image of God, so the Imago Dei is the shadow of His red right hand. Aside from their little-known history, you'll find specifications for their bleeding-edge ship hulls. Included are seven sample Imago Dei warships for your own campaign, whether found as derelict plunder, seized by fanatics, or threatening the PCs' home world with the guns of a heretical Shepherd Fleet! In seven pages this pdf details a force to be reckoned with. A group of A.I. allies or a menace from an age of hate and rage. The PDF does an excellent job of doing a solid overview of the fleets, their origins, conditions, adventure seeds, and possible integration into a Stars Without Number Campaign. Be warned this is a powerful set of NPC's and artifacts to introduce into a space opera or SWN campaign. These can very easily tip the balance of the game. These craft are world burners and weapons of incredible power. Many of these craft will be trapped, wrecked, or infested(hint, hint). They should not be taken lightly. Download this one and use it sparing or go into this one full guns. Since its free and up to the standards of SWN. I can't recommend it enough. have come in the night! Tonight's Agent's of Shield episode 'The Well' stood on its own but its roots ran very deep indeed all the way back to the first Thor movie. There were some scenes in tonight's episode that tied into the film Thor The Dark World but instead reached into several areas of the the first Thor movie. The Well on its own ties into itself and the greater Marvel Movie universe. This wasn't so much an episode about Thor Dark World as it was an episode about the Asgardians and their interaction with the Movie universe. The Well doesn't play shadow games instead it digs deep into the Marvel Asgardian Mythology and it does it with one of my all time favorite character actors. Deep in the Norwegian woods, a pair of bitter protesters find a silver staff buried in a tree. Etched with Asgardian runes, this alien artifact gives the hikers super strength and legendary "berserk" levels of rage. The end result is an angry 'Heavy Metal The movie' style army rampaging through the streets of Oslo. I'd like to know who or what gave them the knowledge of the whereabouts of this staff. I have my suspicions. Coulson and crew visit Professor Randolph (the great Peter MacNicol), an expert in Asgardian mythology. He claims that the fragment found in the woods may be a piece of the power source of legendary Asgardian Warriors, the Berzerkers. The implication here is that for some reason the Asgardians not only visited Earth long ago maybe 2,000 to 5,000 but there was a huge conflict on Earth. After this conflict was over many of the weapons, artifacts, and technology might have stayed behind. The reappearance of the Asgardians might have awakened not only these items but some other things that might have been left behind. The gaming possibilities of this episode are far and wide reaching. We've got alien gods walking among mortals, technology of god like proportions, and a metric ton of gaming tie ins here. The implications here for doing a Marvel Super Hero game are pretty staggering. The fact that there was a more mysterious past tied to some ancient war and Earth might have been more then a mere battle ground but ground zero in the Marvel universe has epic and legendary adventure tie ins. Could this be the first hints of a possible Celestial like race or entities that have providence in the Marvel Movie universe. We've seen Thanos. So who is too say. The staff it turns out isn't some artifact ala The Dungeon Master's Guide first edition or anything but a rank and file tech item belonging to the Asgardians. Warning if your looking for the Norse Mythology here. Forget it. You'd be better digging through Deities and Demigods from first edition AD&D. If your looking for Marvel Asgardian action and how it can tie into a weird 'real' world like setting this might be it. The Marvel Super Heroes game had a wide reaching tie in with this sort of thing. The Well so far is one of my favorite episodes. If all of the future episodes kept this sort of pace, energy, and attitude. Well they might have a chance to keep folks watching. Many of the plot holes in this episode could be exploited by a DM looking to create his own source of mercenaries, covert Asgardian operatives, possible clean up crew for the Dark Elves, and much, much, more. The ideas laid out here include what possible other artifacts have been left behind, what the hell were the Asgardians fighting 2,000 to 5,000 years ago, are there more artifacts waiting to be discovered(could there be a globe trotting Indianna Jones style modern adventure campaign in the wings), what or who was supplying the Occupy Style villains (rubes) of tonight's adventure and are there more cells waiting out in the Marvel movie universe? The only bit I didn't like was the quick throwing away picking on the misguided pagan villains. Its a minor point for another blog post. But its an interesting one and I didn't feel that it actually fit the episode at all but that's just me. The implications of the Asgardian and Earth realms connection in tonight's episode show just how strongly they're connected. In the Marvel Super Heroes game they're even stronger. Thunder Over Jotunheim from the basic game throws the PC's deep into the Marvel Asgardian universe and allows the PC's to deal with some of the minor 'big bads' of the Marvel Asgardian universe. For many of the deep connections between the Avengers and The Asgardians, "Avengers Coast To Coast' is your go to book with a metric ton of history, stats, and interactions making stuff like tonight's Agents of Shield episode much more accessible. Many of the possible implications in tonight's episode bring to mind the ME series. Starting with "Cosmos Cubed". This is where the rubber hits the pavement. This series of modules hits on the cosmic powers of the Marvel universe. Use this one sparingly and while I have run this series of modules with other super hero games. Tonight's episode also brings to mind the trope of Ancient Aliens as gods. The ideas of Clark's law are in spades here. There could well be many more applications. Tonight's episode neatly side stepped the whole worshiping the gods bit and simply cast the Asgardians as aliens with very advanced technology. This free Stars Without Number Mandate Archive book is perfect for creating your own mercenary group or adventuring party with a blend of science fiction and galactic adventure. Weighing in at seven pages and perfect for those last minute additions to your old school science fiction campaigns this one got a work out last Thursday. Between the lost Red Sangha ministry and the last of their mysterious techniques books disappearing this book got a work out. 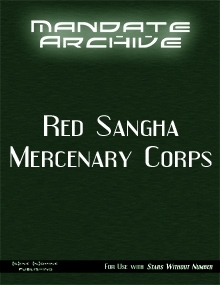 Here's the Drive Thrurpg Description: Heirs to a bloody nirvana, the Red Sangha mercenary corps has built a terrible name on their gene-cursed serenity and smiling ruthlessness. This free supplement to the free Stars Without Number sci-fi role playing game details the grim origins of this band of neo-Buddhist mercenaries along with their current resources and procedures. Additional details are provided for Red Sangha PCs, including a new background and training package, and information on the brutal, self-sacrificial Jivakan martial art of Upaya. 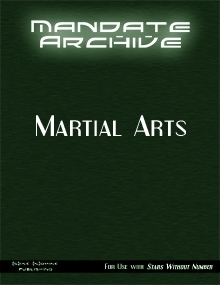 One thing I did find was that you will need the Free Martial Arts Mandate Archive. This book provides even more material for the Martial Arts within the SWN universe. This really is a book that effects the combat, tone, and outcome of the various alien cultures that the defensive arts touch. This book in six pages provides not only the various defensive arts but their uses as part of an adventure background and not simply 'another' combat book. This really is one of the essential downloads for SWN along with the Red Sangha Mercenary book. Again this is one of those downloads your going to need to run the game properly and smoothly if military action is one of the focus of your game. From the scattered databases of the fallen Terran Mandate comes the second in a sequence of supplementary files for Stars Without Number, the free OSR retro-influenced game of science-fiction adventure. Sample this free file and learn how to add esoteric martial arts styles to your game and equip your PCs with the arts of the open hand. Rules for adding armed and unarmed martial arts styles to the free Stars Without Number sci-fi role playing game. Guidelines for GMs who want to make blades and fists as viable a combat choice for PCs as combat shotguns and plasma rifles. Ten martial arts of the far future, with their unique maneuvers and particular favored weapons. Advice for creating your own martial art styles and how to make sure they blend well with the rest of your game. In the final analyses go and grab these books and blend them into your SWN game or your favorite old school space opera. You won't be sorry. These horrors recently cropped up in a salvage mission deep in the Talon Sector during a Stars Without Numbers game. The Cazgorororth ready to take flight in your old school game. The Cazgorororth is a recently sighted monster within the folds of The Talon Sector. The monstrous alien lifeform is a not a seductive female humanoid bird like creature but rather a dangerous life form from beyond the bounds of human space itself. This predator from another time space continuum feeds on the life force of spacers in the most remote parts of the Talon sector. The thing uses a cloaking field/psychic illusion to reach deeply into the minds of its victim and pull from a victim's mind the perfect illusion of lust and sexual fantasy. This illusion is so perfect as to have spacers literally rushing into the claws of the thing as it delivers a bone crushing bite. The monster does not entirely exists within our space time and is able to fly between the spaces of the local space time continuum. They are seemingly immune to vacuum. The monster is capable of interstellar flight by using powerful psychic organs and telekinetic abilities to create sub space rifts and eddies within its own special hellish existence. The thing will feed on both constitution and the wisdom of its victims slowly and painful as one point a round is bled off into the monster until the victim is dead. The thing shakes with a bio luminescence orgasmic spasm as it takes in on point after point unless the appropriate saves are made. Victims of this horror often have to under go expensive and costly healing by psychics to repair both mind and body. The Cazgorororth attacks with two powerful claws for 1d10 points each and a bone crushing bite for 1d12. The thing will feed at its leisure from concealment if possible. The thing inhabits space wrecks, asteroids, and abandoned space stations to name a few places. They are however particularly bold and have been known to live as well as feed from the edge of colonies on some worlds. They often collect 'trophies' from certain victims as keepsakes and mementos of certain kills. There are few examples of the monsters who pass themselves off as alien scribes, wise women, and prophetesses of ancient as well as forbidden religions. Some have been found to be the heads of certain cannibal cults, as well heretical sects worshiping demons, ancient gods, and powerful alien life forms. Everyone loves free stuff and here's some incredible classics of Science Fiction, Fantasy, And Horror. I hope you enjoy them and use them! Thor Dark World is a fantastic film and has made a startling impact at the box office as well as changing the Movie Marvel universe perhaps forever. We got another weird alien invasion this time from the Dark Elves of Marvel Movie legend and this week on Agents of Shield we're going to see some of the blow back or perhaps fall out from the movie. The upcoming episode 'The Well' is supposed to link both the show and the movie. I believe from the trailer that each and every time another invasion of the 'Earth Realm' happens it seems to activate some of the ancient relics that the Asgardians left behind as 'Ancient Aliens'. The Agents of Shield are going to have a hell of a time dealing with some of this weird technology of the Asgardians. Shield doesn't seem to have any way of keeping these invaders at bay and where the hell is Doctor Strange when you need him? Or for that matter Mister Fantastic? Nevermind. Using this analogy and the amount of Dark Elves that invaded Earth shouldn't there also be a metric ton of ancient Elven items activating as well? Could this staff actually be the tip of the ice berg? Could there be some Dark Elven terrorists or operators left behind on the Marvel Earth? Could this be an opportunity for a group of Super Heroes, Agents, or Mercenaries to go into action in the aftermath of Thor Dark World? The fact is that the Dark Elves in Marvel Comics have always gotten a bit of the short shaft but that shouldn't stop a DM from using them or the Asgardians. Let's face facts here not every single Asgardian is going to be Thor in point of fact there have been a number of lesser heroes who have appeared in the comics. Given Clark's rule is in full effect here DM's should refer back to the Marvel Comics when creating characters for this sort of campaign. When making the Dark Elves always think magic as technology. Given the alien vs comic mythology analogy once again there has got to be a huge impact upon the Marvel Earth now. Technology upgrades, religious shake ups, museum break ins and exhibitions. In other words a metric ton of opportunities for a DM to exploit to get a Marvels Super Hero or any old school supers campaign off the ground. 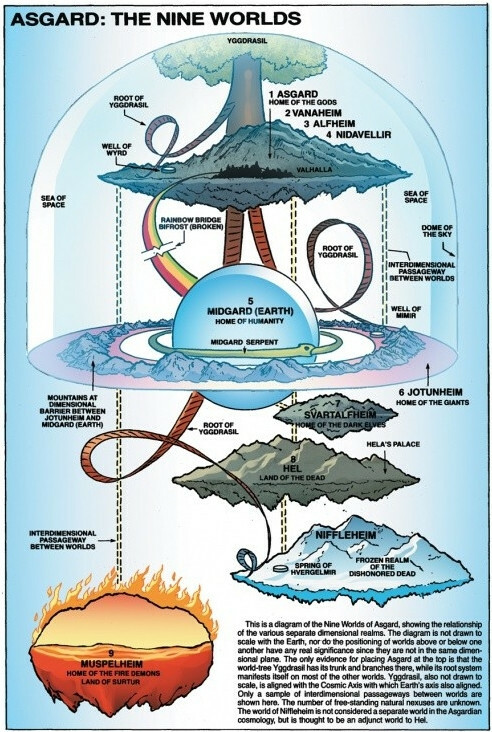 Given the fact that gateways between Earth and The Nine Worlds are now so supposedly thin the opportunities for Asgardian origins for your supers might be a quick trip away into the Marvel universe or at least your version of it. The Marvel Movie Nine Worlds isn't a safe or nice place and everything in that universe seems to begin and somehow end with Asgard. From Captain America to the creation of the Hulk there's an Asgard connection in there some where. Horrors that guard ancient secrets and treasures that can snap a brave man's arm in half. 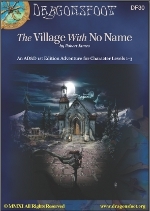 "The Village With No Name" which is Available for Download.